Pass the tail over itself to form a loop. Continue under and around the standing end. 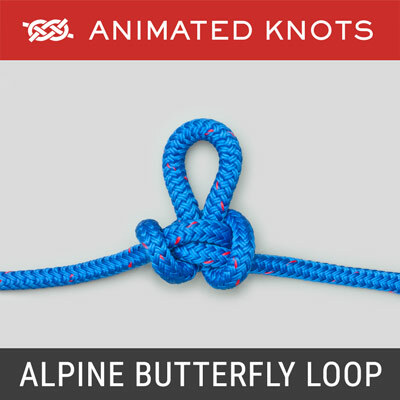 Complete the knot by passing the tail down through the loop. Uses: The Figure 8 (ABOK # 570, p 95.) 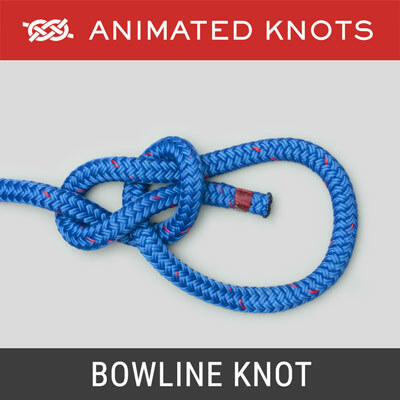 provides a quick and convenient stopper knot to prevent a line sliding out of sight, e.g., up inside the mast. Its virtue is that, even after it has been jammed tightly against a block, it doesn't bind; it can be undone easily. This virtue is also, occasionally, a vice. The figure 8 can fall undone and then has to be retied. 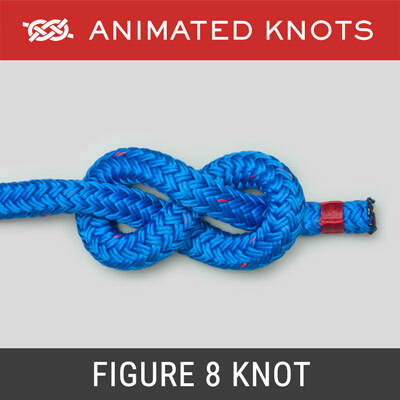 Comparison: The Figure 8 should be compared to other common stopper knots. It is much better than the simple Overhand Knot which is smaller and can bind so tightly that it can be really difficult to undo. 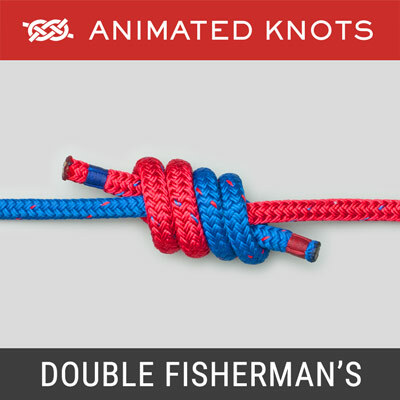 However, the Double Overhand Knot, the Stevedore,and the Ashley Stopper Knot, all make better Stopper knots because they are larger and more stable. For slippery ropes the EStar Stopper is the best. 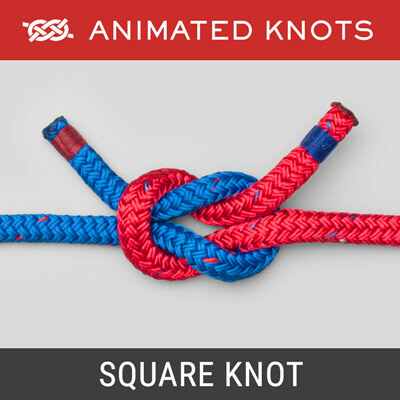 Climbing: For climbing, where safety is paramount, the Double Overhand is the preferred Stopper knot. However, the Figure 8 is important to climbers because it is the basis for tying the Figure 8 Bend (Rope Join), the Figure 8 Loop Follow Through, and the Double Figure 8 Loop.